To see other places to visit, traveler tips, photos, and tourist information, read Melbourne itinerary planning website . Singapore, Singapore to Melbourne is an approximately 10.5-hour flight. You can also do a combination of flight and shuttle. The time zone difference when traveling from Singapore to Melbourne is 2 hours. Traveling from Singapore in July, expect Melbourne to be colder, temps between 15°C and 6°C. You'll have a few hours on the 27th (Sat) to wrap things up before traveling to Hobart. Your list of things to see and do now includes Battery Point Sculpture Trail, Farm Gate Market, Sullivans Cove, and other attractions. 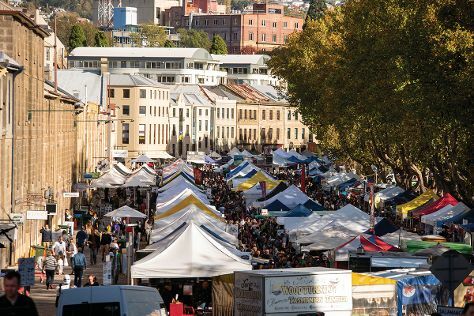 Kick off your visit on the 27th (Sat): get a taste of the local shopping with Salamanca Market, then take a leisurely stroll along Constitution Dock, then wander the streets of Sullivans Cove, and finally take some stellar pictures from Mount Nelson Lookout. On your second day here, pick up some local products at Farm Gate Market and then go for a walk through Battery Point Sculpture Trail. To find where to stay, traveler tips, photos, and tourist information, go to the Hobart road trip site . Traveling by flight from Melbourne to Hobart takes 4 hours. Alternatively, you can do a combination of ferry and car; or do a combination of ferry and bus. In July, daily temperatures in Hobart can reach 15°C, while at night they dip to 4°C. You will have some time to spend on the 29th (Mon) before leaving for Richmond. Richmond is a town in Tasmania about 25 km north-east of Hobart, in the Coal River region, between the Midland Highway and Tasman Highway. Your day-by-day itinerary now includes Richmond Bridge. To find more things to do, other places to visit, reviews, and tourist information, go to the Richmond road trip planning website . Richmond is just a stone's throw from Hobart. July in Richmond sees daily highs of 15°C and lows of 4°C at night. On the 29th (Mon), wrap the sightseeing up by early afternoon so you can drive to Eaglehawk Neck. Your day-by-day itinerary now includes Tasman Blowhole. Kick off your visit on the 29th (Mon): trek along Waterfall Bay, explore the striking landscape at Tessellated Pavement, get outside with Tasman Arch, then get outside with Tasman Blowhole, and finally get outside with Devil's Kitchen. To find maps, traveler tips, other places to visit, and tourist information, read Eaglehawk Neck trip itinerary maker app . Traveling by car from Richmond to Eaglehawk Neck takes an hour. In July, daytime highs in Eaglehawk Neck are 15°C, while nighttime lows are 4°C. Wrap up your sightseeing on the 30th (Tue) to allow time to drive to Port Arthur. 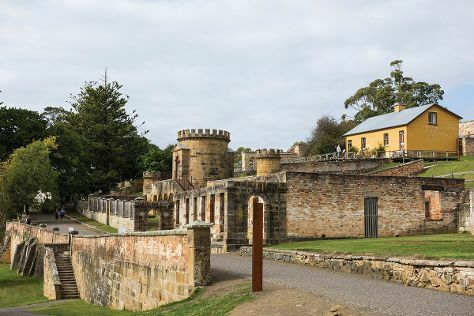 You've now added Port Arthur Historic Site to your itinerary. Start off your visit on the 30th (Tue): appreciate the extensive heritage of Port Arthur Historic Site. To see where to stay, reviews, maps, and other tourist information, refer to the Port Arthur trip planner. 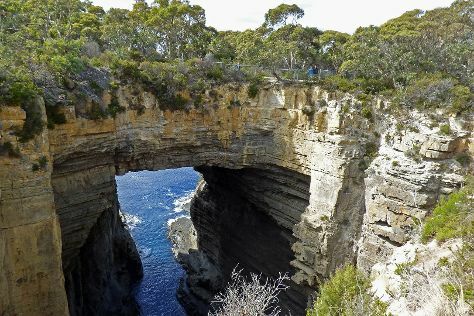 Port Arthur is just a stone's throw from Eaglehawk Neck. In July, plan for daily highs up to 15°C, and evening lows to 4°C. Finish your sightseeing early on the 30th (Tue) so you can drive to Eaglehawk Neck. Use Inspirock's suggestions to plan your Eaglehawk Neck trip and find the best activities and attractions for your vacation. Eaglehawk Neck is very close to Port Arthur. On the 31st (Wed), you'll travel to Coles Bay. Kettering is a coastal town on the D'Entrecasteaux Channel (37 km south of Hobart) opposite Bruny Island, Tasmania, Australia. Plan a Kettering trip in moments using our itinerary builder. Traveling by car from Eaglehawk Neck to Kettering takes 2 hours. In July, daily temperatures in Kettering can reach 15°C, while at night they dip to 4°C. You will leave for Hobart on the 31st (Wed). For traveler tips, ratings, reviews, and tourist information, go to the Hobart attractions planner . Traveling by car from Kettering to Hobart takes an hour. You will leave for Melbourne on the 1st (Thu). To see where to stay, reviews, maps, and other tourist information, read Melbourne attractions website . Traveling by flight from Hobart to Melbourne takes 4 hours. Alternatively, you can do a combination of car and ferry; or do a combination of bus and ferry. You'll set off for home on the 2nd (Fri).